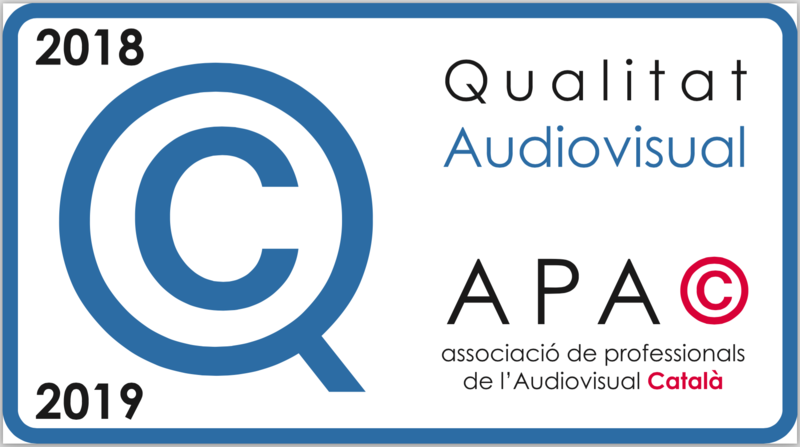 The “Q” of Quality Audiovisual has been designed by our partners to identify audiovisual companies. It is what differentiates the companies from others. The path of every business to be competitive unavoidably involves applying serious and rigorous quality policies. Recognition of institutional or private clients of his Excellency (the awards may not be companies in the sector and must be credited with sales of at least $ 10,000). Optionally and if the qualification Committee consider necessary, it may request a list of material that is available with the date of purchase, as well as the standards of maintenance are used to preserve. The Management Board reserves the right not to grant the “Q” of quality Audiovisual, despite meeting all the requirements, when there are reasons that justify it. The Management Board reserves the right to withdraw the “Q” of quality Audiovisual in companies that violate the basic rules of good competition or have “recognized and doubtful” debts of more than 6 months old with other partners. The “Q” of Quality will be renewed every 2 years and will be registered with number two year of its duration.